This time last year with the fundraiser, roughly 40% of the monies raised was donated in the final 10 days of the fundraiser. A lot of second donations were made in this time frame, but most importantly, high donation amounts from first time donations were made in the final days, and I'm hoping that is the case for this year. Please DONATE today or very soon to be added into the fundraiser raffle and have your name added onto the Birthday certificate card to Michael on his April 2nd birthday. Thanks! 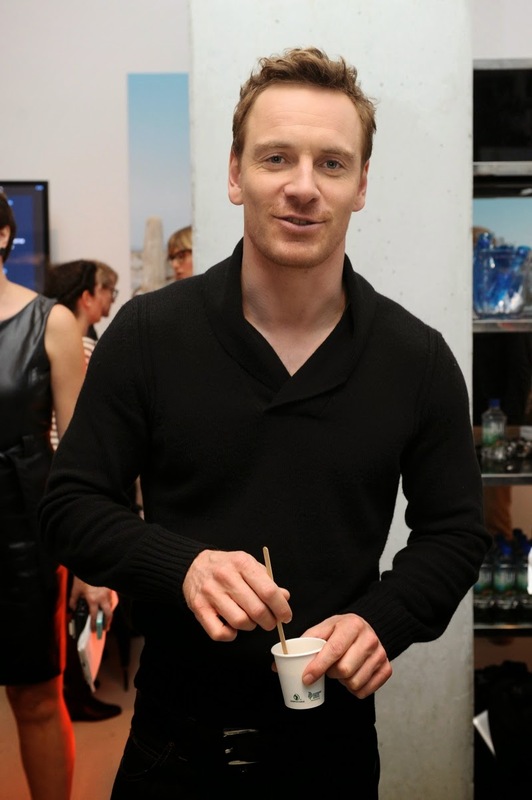 This year is going to be great in watching Michael Fassbender films. And you know what, I haven't heard a peep about that Malik film that Michael filmed over a year ago. Sadly, it's not very high on my radar of films to watch because I don't know jack about it and it's been... over a year since we heard anything about it. So bring on Frank, bring on MacBeth, bring on Slow West, bring on Assassin's Creed! I guess I'm not actor material because I think it's a good thing that MF's under the radar a lot. Which is to say, I don't seek out attention as someone who is a performer would. I prefer to do my own thing and find contentment in that. Of course, I'm a little selfish about the issue as well. The fewer rabid fans, the better. He seems to be getting steady work, so it's not like he's going to drop off the earth suddenly and start teaching community college classes or anything. But I'm not big into sharing my interests with vast numbers of other people. I don't like crowds. A small, intimate fandom suits me just fine. But it probably makes it a little hard to populate a blog, eh? I have some pet theories about actors and celebrities (two different creatures, mind) and differing degrees of exhibitionism. The plea from the famous person--whose whole life status is dependent on the patronage of other people--to leave him/her alone and let him/her have a 'normal' life doesn't wash. Don't expect to court an audience and then discard them at your convenience. Do not live an opulent lifestyle on the money of others and then begrudge those people what they paid for. It was your need to perform and exhibit that brought the masses to you in the first place. Yes, you might be an artist; but unless you want to starve for your art, you are also a commodity. You have to sell it. So, under the radar is ok for MF, I think. His need for exhibiting seems to be less than some others. I agree Snootie, there are two different breeds of "celebrity", the one that absolutely craves it and pretends that their riches didn't come from fans and the media. And there's the actor, who truly thrives in their work, wants to work steady, strives for some privacy and self-respect, and enjoy the fruits of their labor, w/o bemoaning the riches from their audience. I want to share with you a comment from the actor Jack Gleeson, who plays the kid King Joffrey on Game of Thrones. He has said that he plans to quit acting once this role is over; back in January, he blasted celebrity culture in a 30-minute speech at Oxford in which he said of his experience, "I detested the superficial elevation and commodification of it all, juxtaposed with the grotesque self-involvement it would sometimes draw out in me." And this is from a 21 year old kid. He's smart to have such a healthy and cynical attitude about the industry. That is impressive for 21. In a lot of ways, the whole 'industry' reminds me of a giant high school. People are deified for the wrong reasons most of the time. Looks are exalted before all else. And too many times, talents or skills that would be useless anywhere else, in a less insulated world, are also exalted. Think the high school football star who isn't good enough to play in college but still rules his hometown with an iron fist. But the kid who is smart, hard-working, or just a good person can be easily overlooked. Then, when that overlooked person applies themselves elsewhere, they succeed and thrive. Perhaps I'm only speaking of actors, then. Because there are a heck of a lot of people involved in movie-making who are very talented behind-the-scenes, and it doesn't matter what they look like.